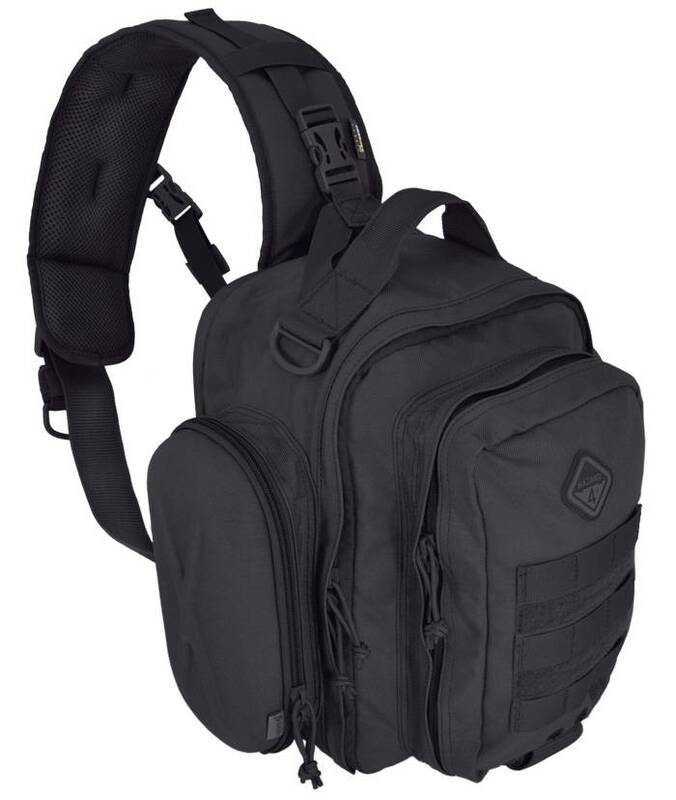 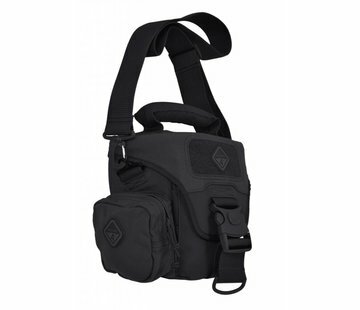 Hazard 4 Holmes Chest Slingbag (Black). 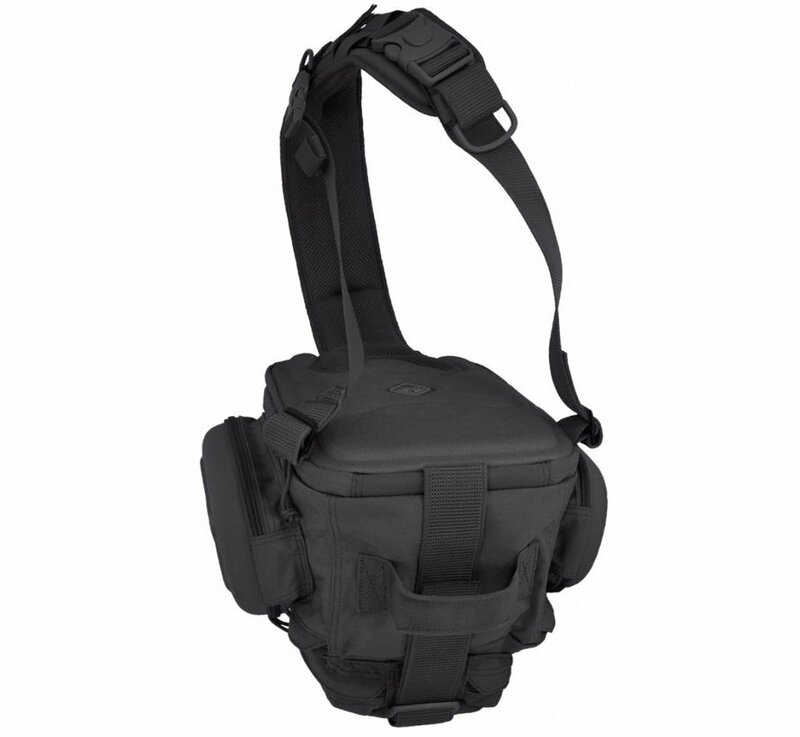 Part of the Evac™ sling series, the Holmes™ is designed to sit at the lumbar area of the back, promoting a low center of gravity and to carry a smaller volume than its larger brothers. 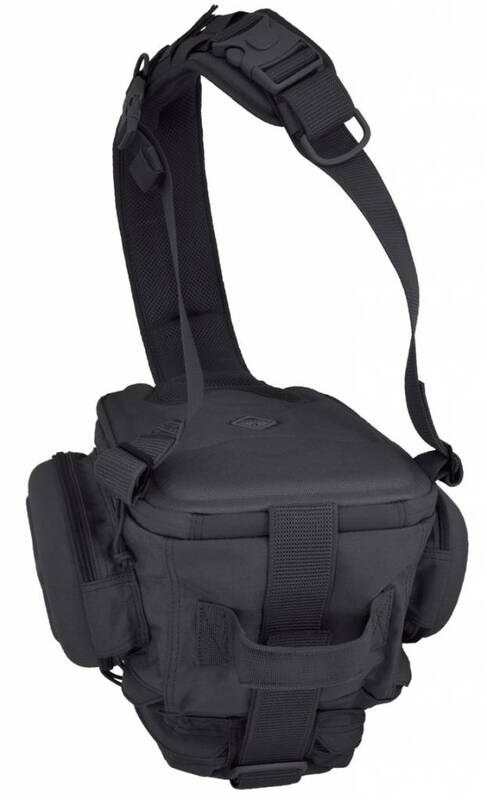 But its wider width compared to the Plan-B™, Rocket™, and Takedown™ allows it to carry wider loads like iPads® and netbook laptops. 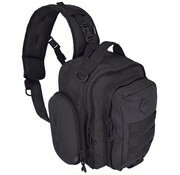 This edition adds a protective padded pod on each side. 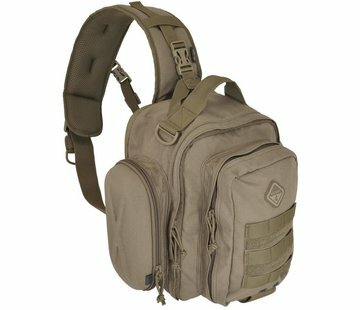 Padded back-carrier pocket fits up to 12" tablets; also fits MacBook 12" and MacBook Pro 13"
Modular (MOLLE) webbing on main strap for pouches, etc. 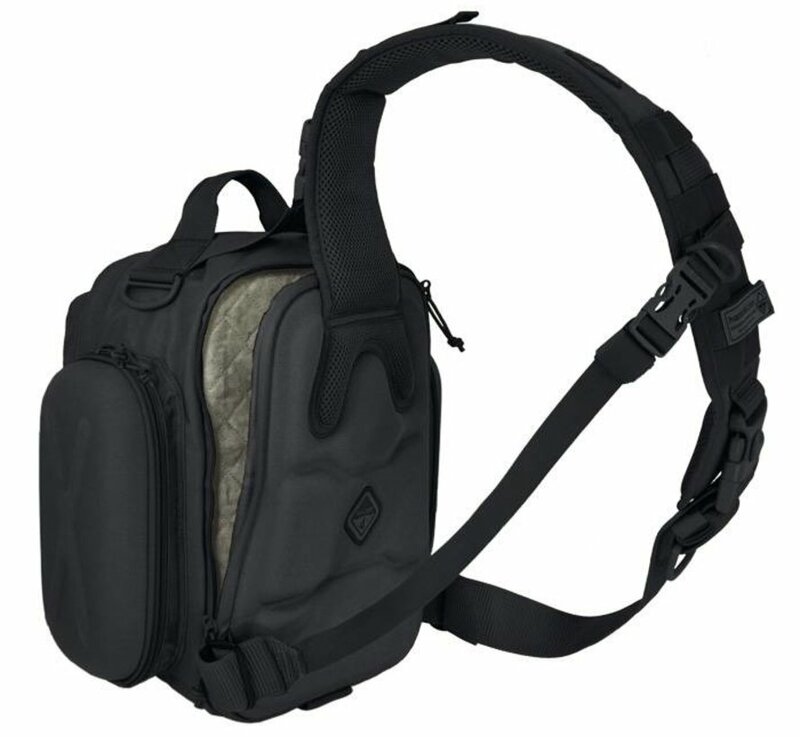 Large front pocket with organizer for pens, knives, small tools, etc. 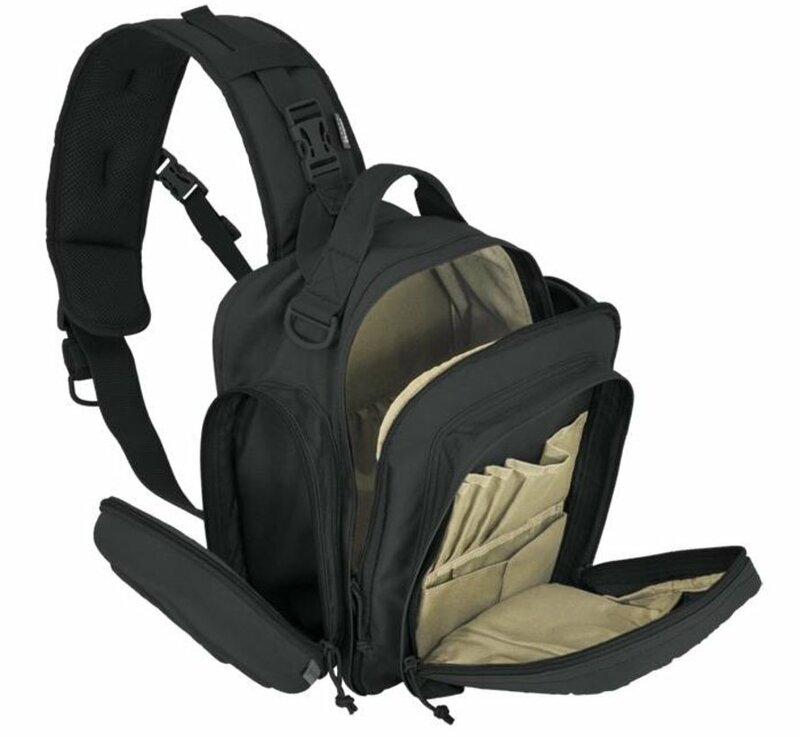 Fuzzy-lined inside edges for attaching holsters/patches, etc.